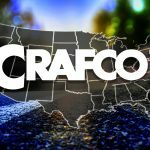 Crafco offers many commercial financing options through our trusted third party lenders. 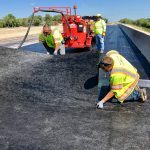 We have partnered with lenders who specifically understand the benefits of Crafco equipment and the paving and preservation industry, allowing you to receive better rates, terms and service. 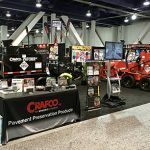 Crafco is proud to offer these options to our customers so you can get the equipment and materials that are right for your project without having to sacrifice quality or options. There are a number of exciting reasons why financing could be the best payment option for your next purchase. Paying for the equipment over time with a lease means that there is no huge cash burden with your purchase. You’ll be able to keep your cash reserves clear for other expenses or a rainy day. Financing allows you to plan and budget with a predictable monthly payment. The best rates make financing a cost-effective solution. Getting a loan from a bank is often not an easy process since there are usually a number of regulations and restrictions. With financing through one of the lenders, you can rest assured that the financing process will be simple. * Financing of 0% annual percentage rate (APR) is available only to qualified applicants and terms of financing may vary. The content on this page contains options for financing Crafco products and is for informational purposes only. The financing is provided by Direct Capital, a Division of CIT Bank, N.A. and EJ Pro Lease (Finance Partners). Nothing herein constitutes an implied commitment to finance by Crafco or its Finance Partners. The financing options are available only to Crafco business customers and subject to final credit approval and completion of necessary documentation. All Finance Partners reserve the right to modify or cancel any promotional options at any time without prior notice. Nothing herein constitutes tax, accounting, financial or legal advice.